This weeks challenge over at I heart Faces is 'a touch of whimsy'. Whimsy? I know the word, I even use it, but I thought to myself, what does it actually mean? 1. Playfully quaint or fanciful behaviour or humour. and how can I show it with my image? Well, hopefully the image below will answer that question. It is of my very good friend Joyce otherwise known as Joycey. 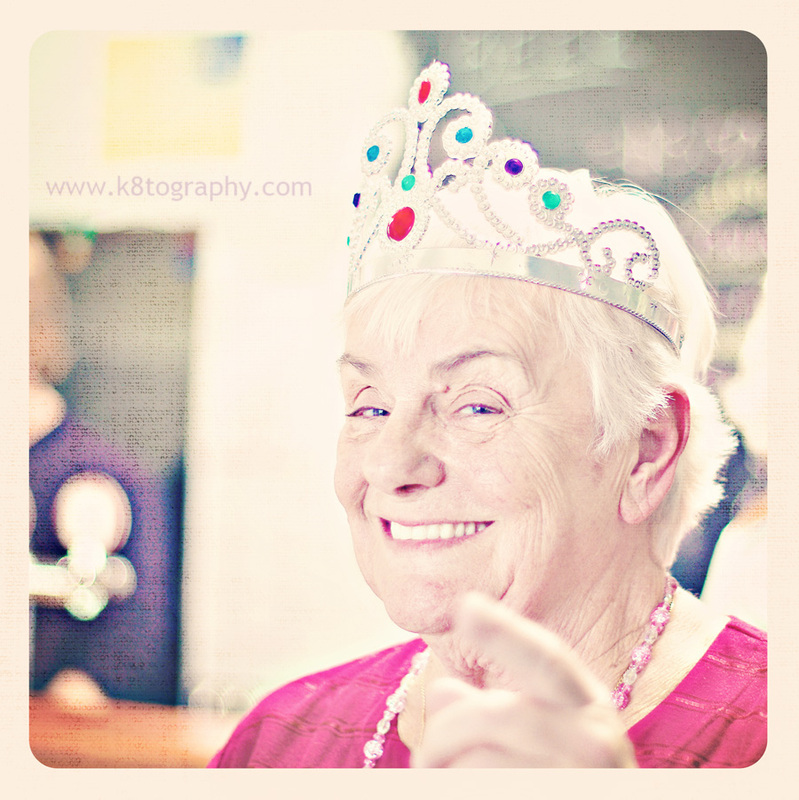 I took this photo of her at her 80th Birthday party and love the sparkle in her eyes, the cheeky smile and of course, the tiara - a bit of fanciful behaviour AND humour from her. As. Usual. Head on over to I heart Faces and check out some of the most amazing whimsical images! Bright and Vivid is the theme this week over at I Heart Faces. I used to shoot a lot of bright images, not so much now that it is Winter here in Melbourne, Australia so I looked through my hard drive. 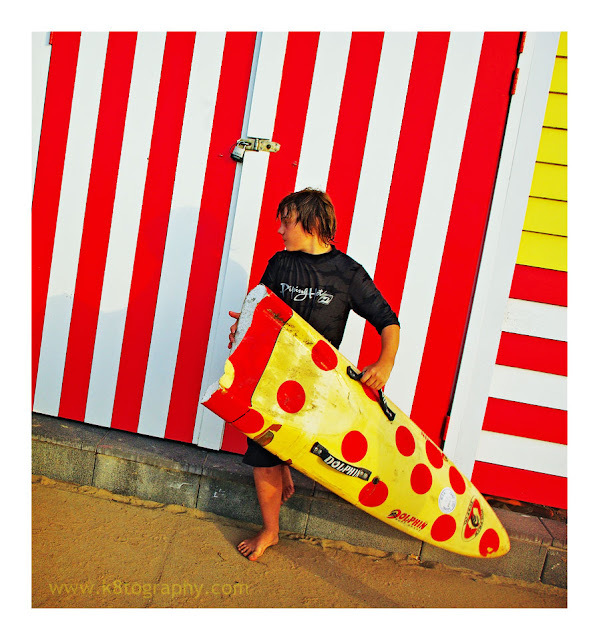 Here is one of my favourite images - it is of my son out the front of a Beach Box right near where we live - this one is on a little bay called Half Moon Bay. Fortuitously, there was this matching, broken wave ski right next to the box. Cool eh? I Heart Faces time! And this week, we don't actually have to show a face! As long as the image has a person in it that's all that counts and the theme is 'from a distance'. 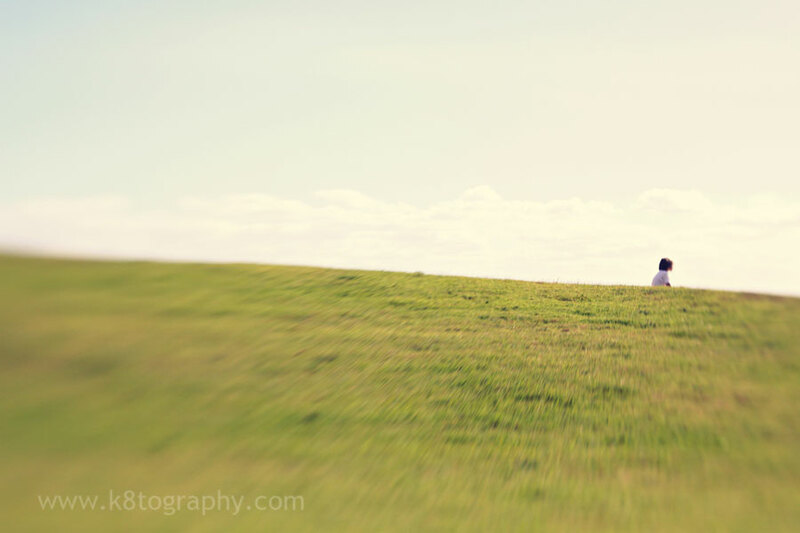 I chose this image that I took with my Lensbaby 3G because I just adore the composition. The boy, sitting on the top of the hill, waiting for .... who knows? Check out all of the many 'From a distance' images over at i Heart faces. Don't forget to leave comments on as many as possible - we all love it!